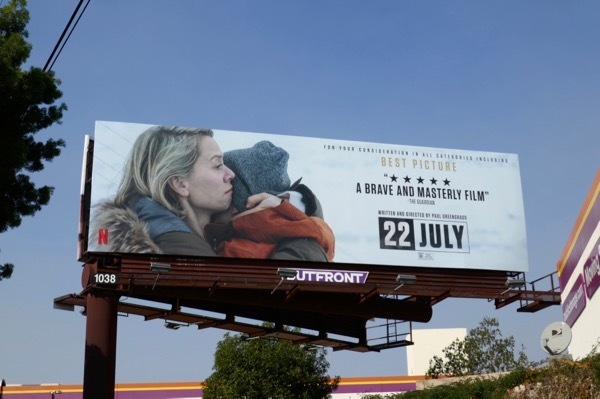 To bring this themed FILM WEEK to a close we have the new Netflix movie, 22 July, based on a tragic Norwegian true story. 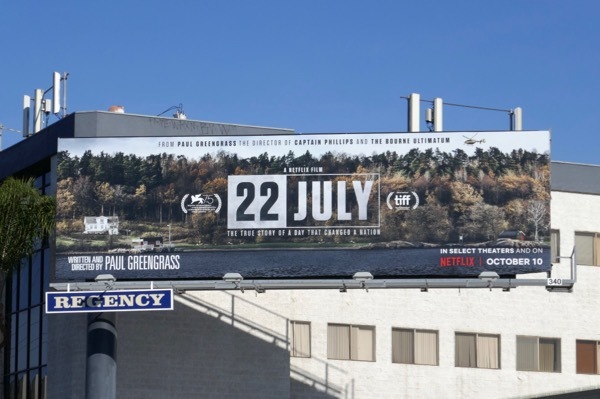 The hard-hitting film by Paul Greengrass dramatizes the 2011 massacre, which included a bombing in Oslo and a gun attack at the summer camp for kids on the island of Utøya, where 77 people were killed by Norwegian lone wolf far-right extremist Anders Behring Brievik. 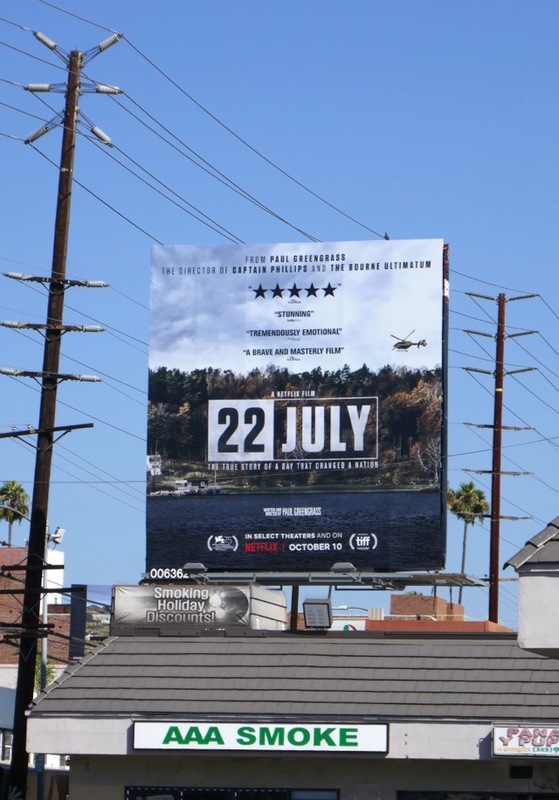 22 July explores the aftermath of the attacks and the repercussions for the survivors, their families and the country as a whole. 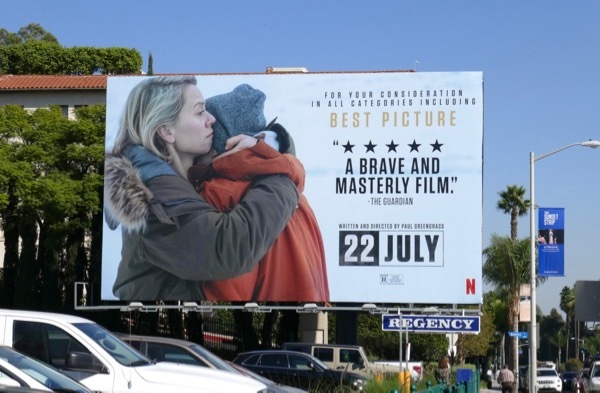 These Netflix film billboards were photographed along Santa Monica Boulevard, Venice Boulevard and the Sunset Strip from October 12 to November 11, 2018. 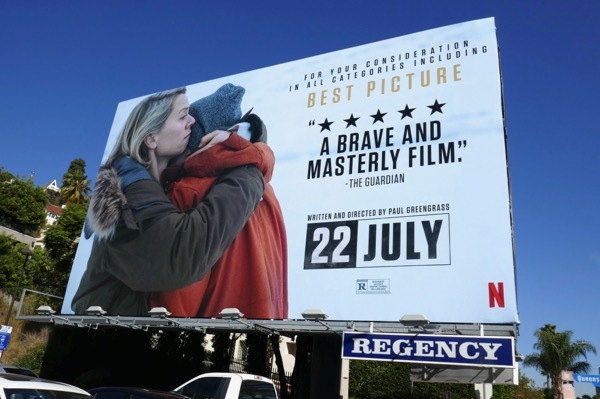 Let's see if Netflix's emotive awards consideration campaigning will help the streaming giant land its first Best Picture nomination.